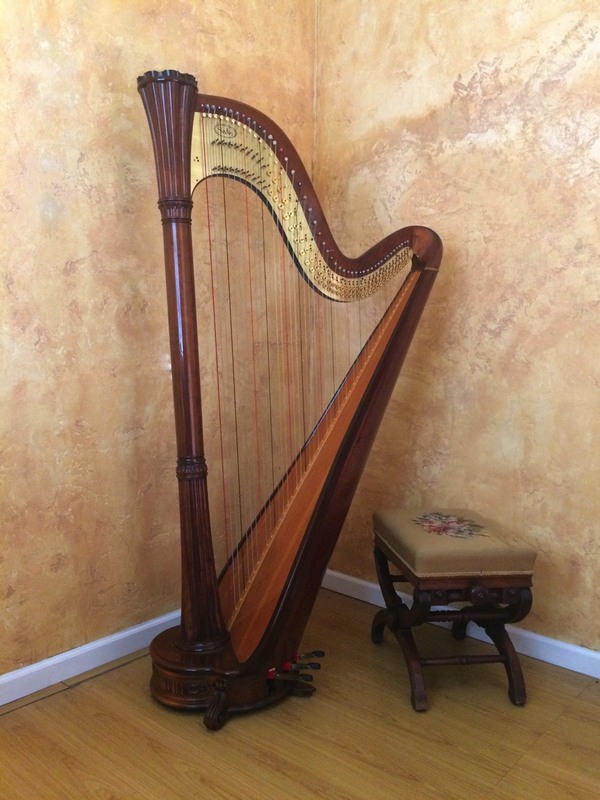 We often have previously owned harps for sale in our shop. We inspect them, replace broken strings, regulate levers, and make sure they are in good repair, ready for you to play. Below is our current inventory. 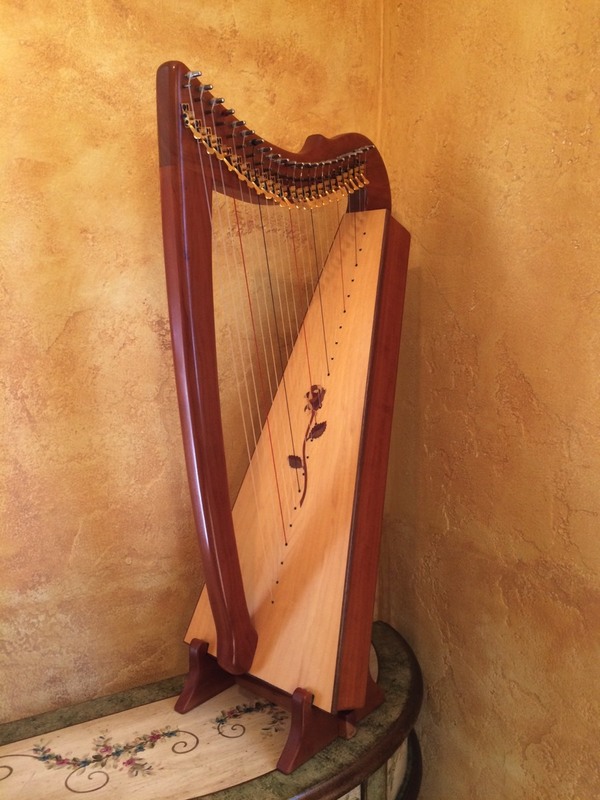 Click on the name of the harp to learn more. 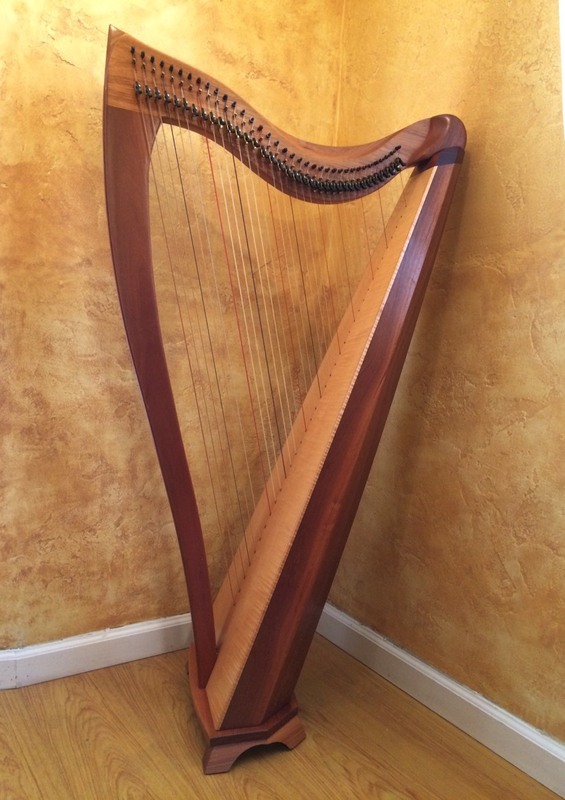 The Triplett 30 wire strung harp is designed to be played either with fingernails or finger pads, delivering a magical sparkling sound. 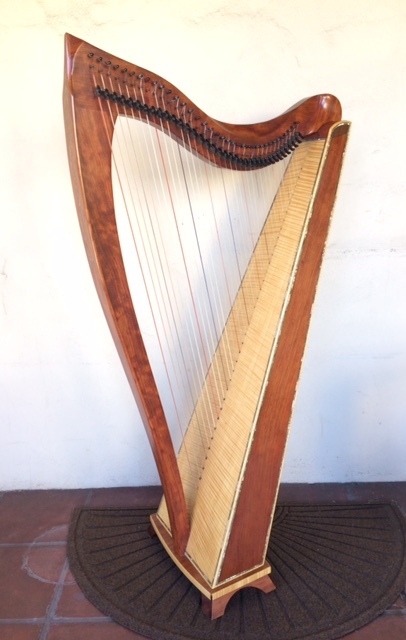 This previously owned harp has never been moved and is near perfect condition. Includes tuning key and extra set of wire strings. A very handsome gently used walnut Triplett 30-string Axline has just come in to the shop. It has a full set of levers and has been freshly restrung. It's a compact size with the big signature Triplett sound. $2300. 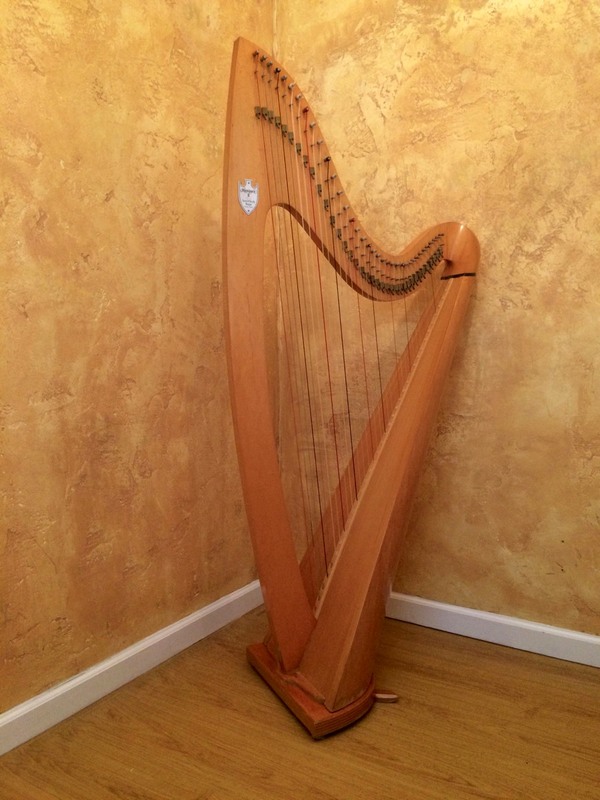 Below are some nice used harps we have already sold. 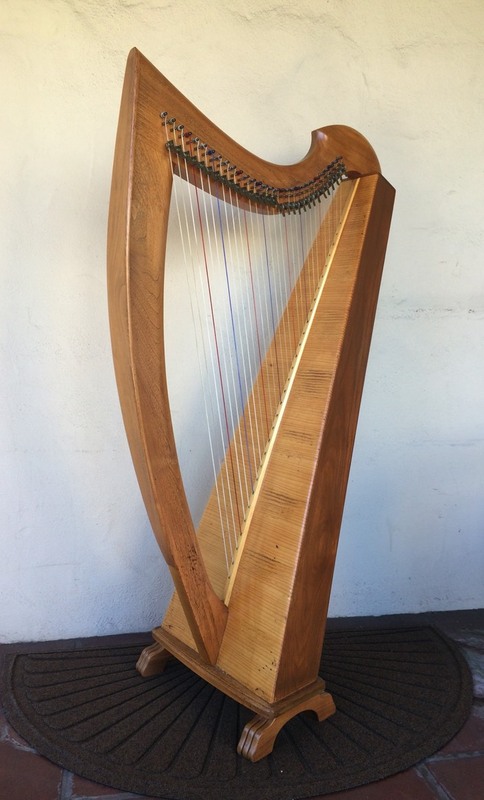 If you are looking to purchase a new or previously owned harp or would like to rent a harp, let us know. We have a constantly changing inventory. 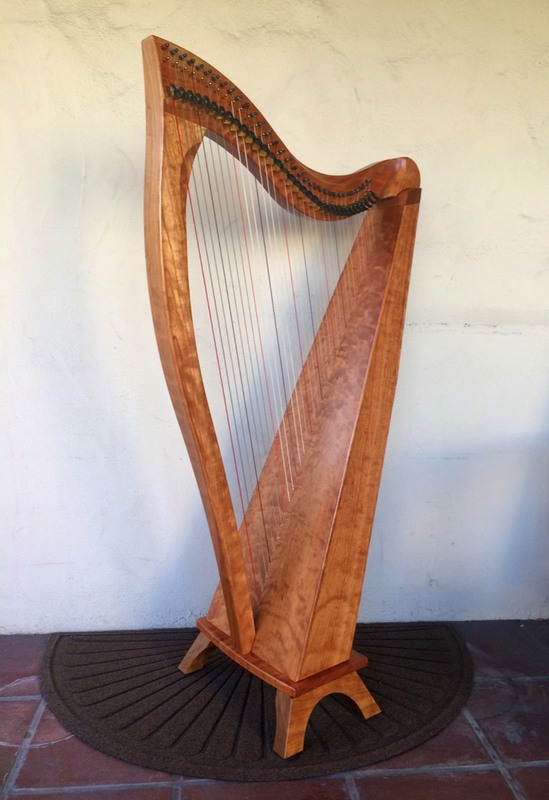 Harpsicle Lap Harp - SOLD! Dusty Strings Allegro 26 - SOLD! 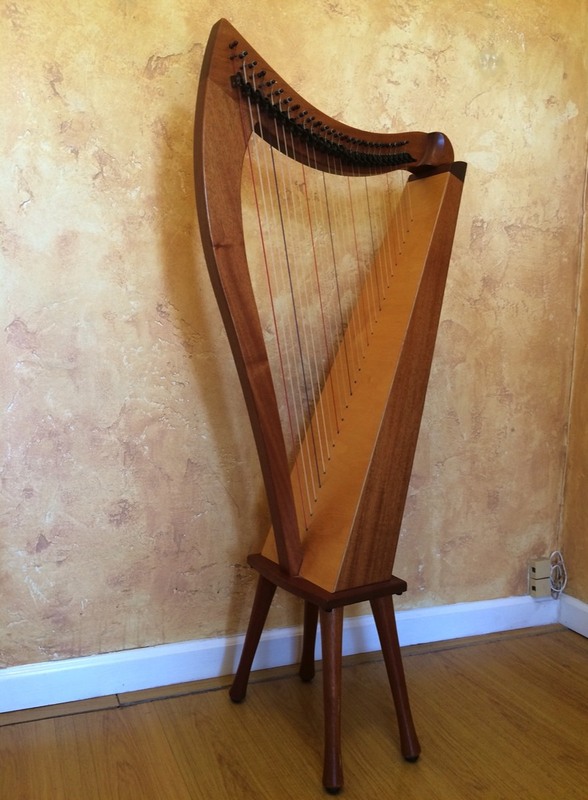 Morgan Meadow Lap Harp - SOLD! Dusty Strings FH36B - SOLD! 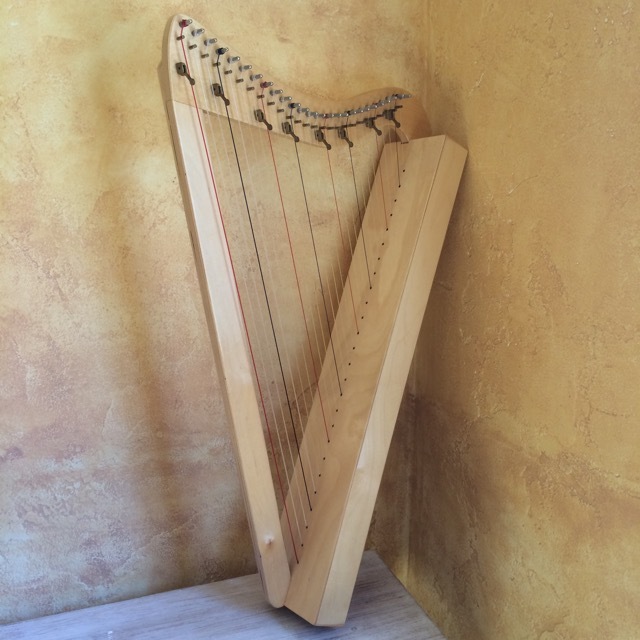 This harp is a rare find. Built in 1994 of bubinga wood with a primo tiger maple soundboard veneer, it is fully loaded with abalone inlay around the soundboard, sides, and a celtic knot on the pillar so it shimmers from every angle. 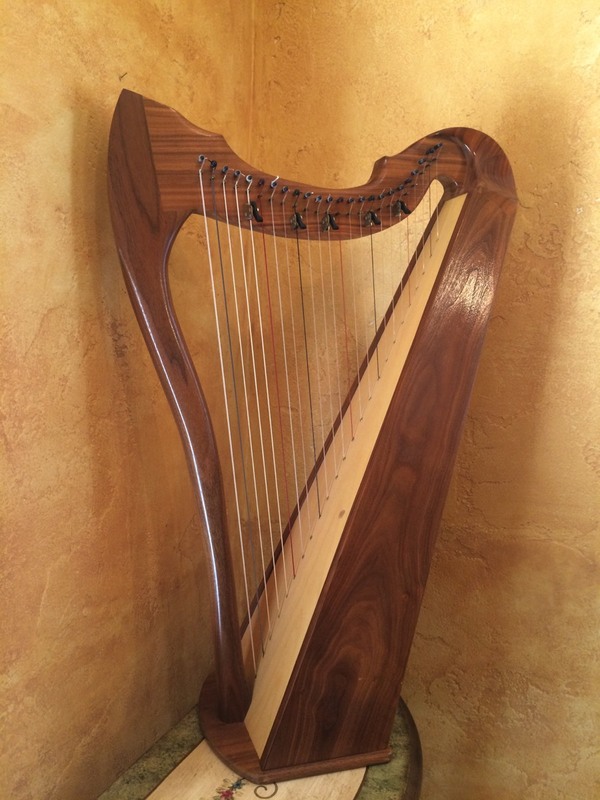 The bubinga gives this harp effortless volume and rich tone. It has been well cared for by a single owner and is priced to sell. Includes case and tuning key. 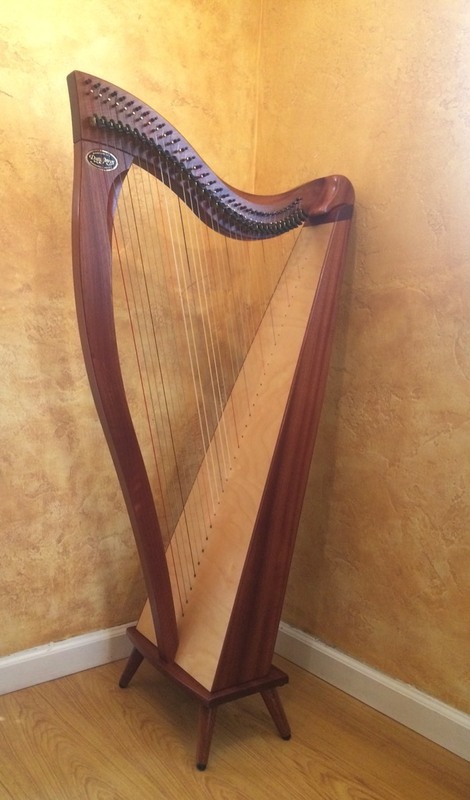 This 24-string lap harp was made in 2000 but looks and plays like new. It is made of walnut and has a beautiful finish that brings out the rich color of the wood. The range is from E up to G and there are sharping levers on F and C, offering a variety of keys. It's small but has plenty of volume. 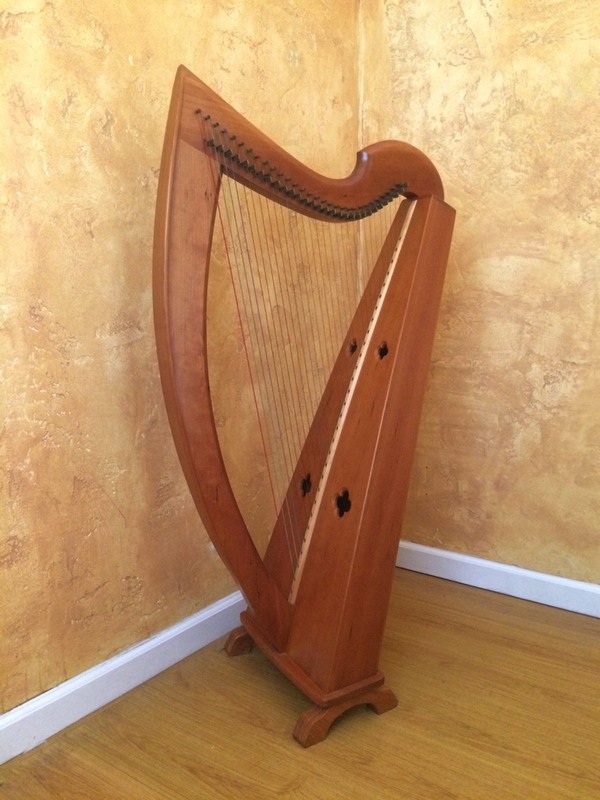 It's a perfect travel harp for an experienced musician or a great quality harp for a small beginner. Comes with tuning key and a beginner's book from Sylvia Woods. Dusty Strings Crescendo 34 - SOLD!